We entered Carlsbad Caverns through the Natural Entrance, the same place where the bats exited the cave the previous evening. There is an elevator down to the Big Room from the visitor center but do NOT take the elevator (unless disability requires it). 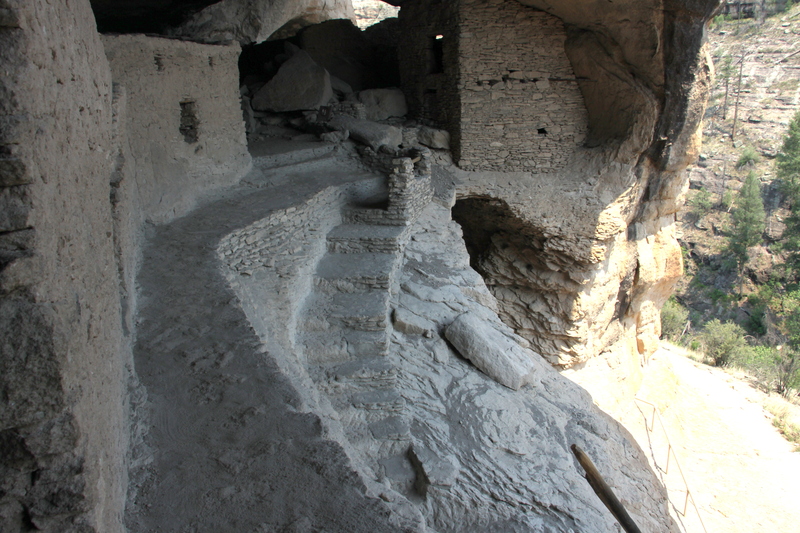 The 1.25 mile trail down to the interior of the cave is entirely passable with handrails and sufficient low level lighting. 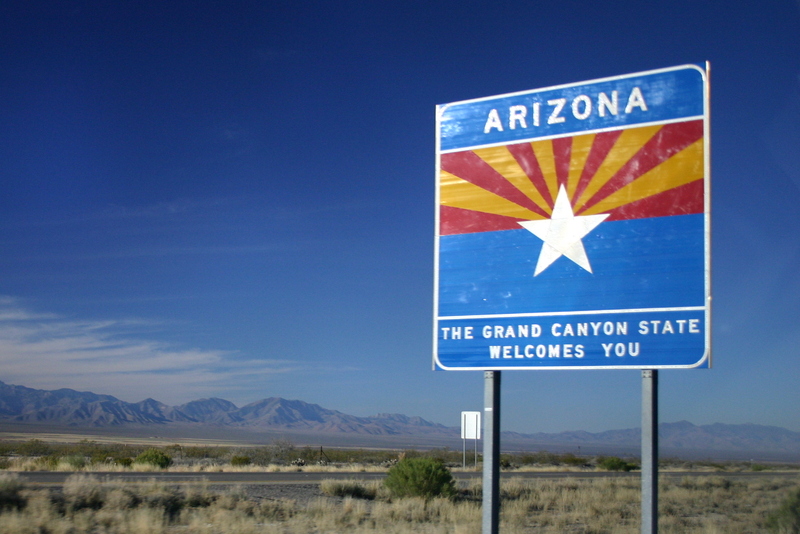 Most tourists take the elevator and the Big Room will be busy during tourist season. So the descent into the cave by the Natural Entrance is the only way you can get some true alone time in the eerie dimness and among surreal cave formations. There is just the sound of dripping water and your own whispers as you travel deeper into the cave along steep zigzagging paths. There are impressive places where you are peering into the abyss ahead of you and surrounded by formations towering above your head. 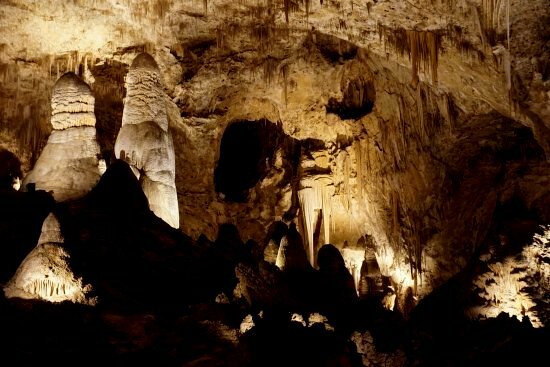 Carlsbad Caverns was formed between 4 and 6 million years ago by sulfuric acid (formed by rainwater mixing with hydrogen sulfide from area oil deposits) dissolving passageways among the fissures of the upraised Guadalupe Mountains. 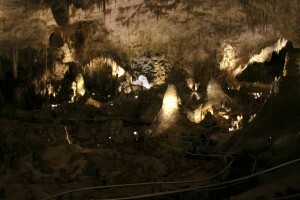 We did take the elevator back up to the surface because we had lots of other places to see that day. 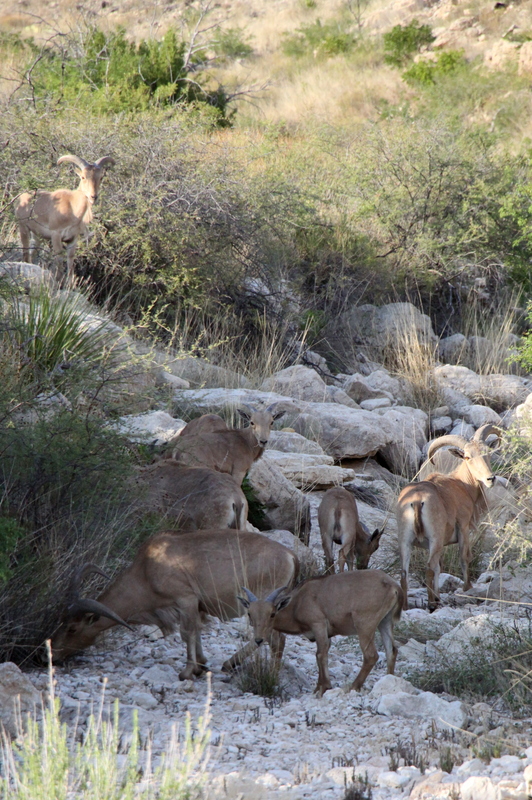 We stopped in nearby Carlsbad (which is a city, compared to Whites City, which is not) to see the Living Desert Zoo and Gardens. I’m going to be honest and tell you that most of the animals were already hunkered into hiding places to stay cool. The raptors were the only ones interested in our visit at all. 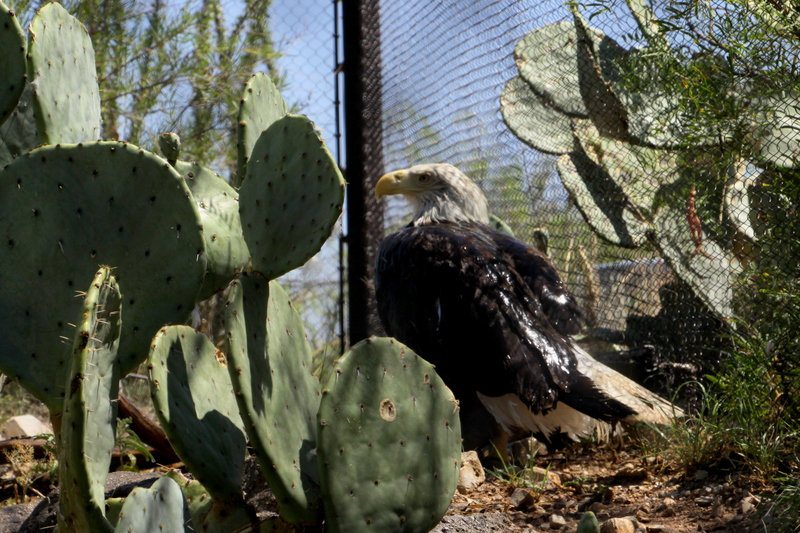 But even if we didn’t see them up close, the museum provided lots of information about the animals as well as the plant life and ecosystems of the Chihuahuan desert. 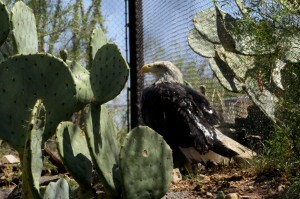 The visitors center is free to the public so you can learn about the plants and animals without paying a cent, but entrance to the park is only $5/adult and $3/child so go ahead and stroll the 1.3 mile trail see the animals (or their empty cages) and check out the succulents greenhouse. I can assure you it’s one of the few desert trails you can enjoy that is only a few steps away from air conditioning and an ice cold water fountain! 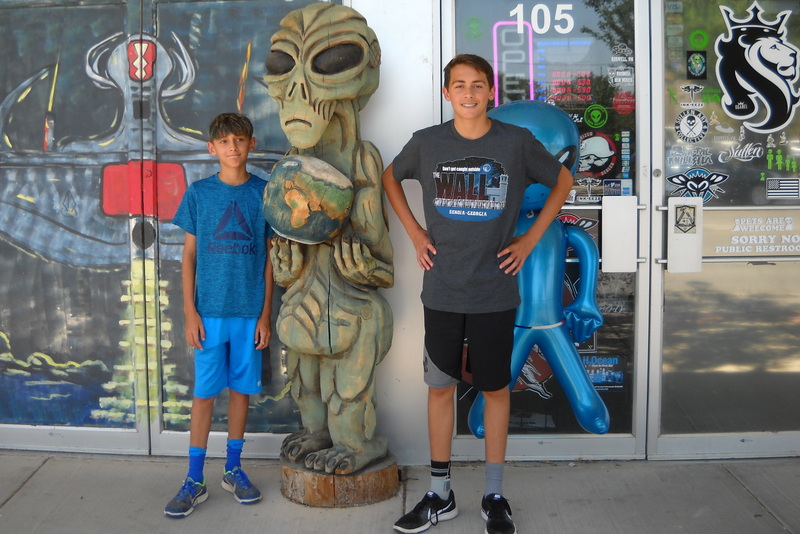 I had prepared for Roswell by listening to an audiobook titled “Area 51: An Uncensored History of America’s Top Secret Military Base” by Annie Jacobsen. (Has anyone else noticed how nonfiction books really like titles with colons? Anyone??) Do NOT read that book if you want to believe in aliens crash landing in farmers’ fields. Do NOT read that book if you are terrified of government cover-ups. You do NOT want to know what the Department of Energy gets up to—with a whole lot of money and only a teeny bit of oversight. 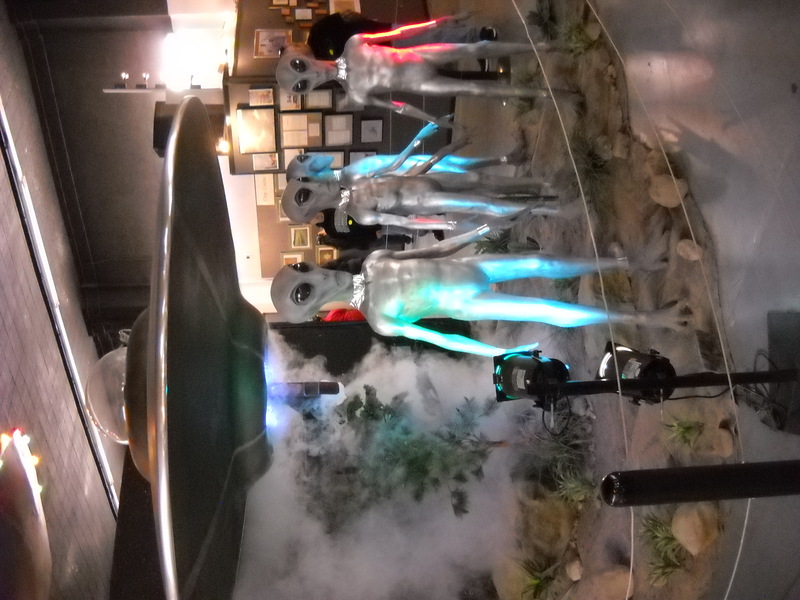 The Department of Energy is much, much scarier than aliens. Trust me. Anyway, the UFO museum is a fun stop and the town of Roswell has lots of adorable aliens and UFO souvenirs everywhere. A stroll through downtown left us at Big D’s Downtown Dive for some some delicious burgers and Monster Fries. We weren’t expecting craft burgers and fries smothered in chipotle ketchup, pecan smoked bacon, green chiles, and cheese sauce in Roswell, New Mexico. But we’ll take it! From there we made our way to the free Roswell Art and Museum Center which had everything from sculpture to Georgia O’Keeffe to extensive Western and Native American exhibits. 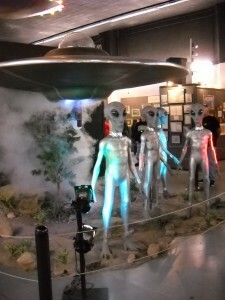 It was a bit of culture to compensate for the guilty pleasure of wax alien autopsy displays. 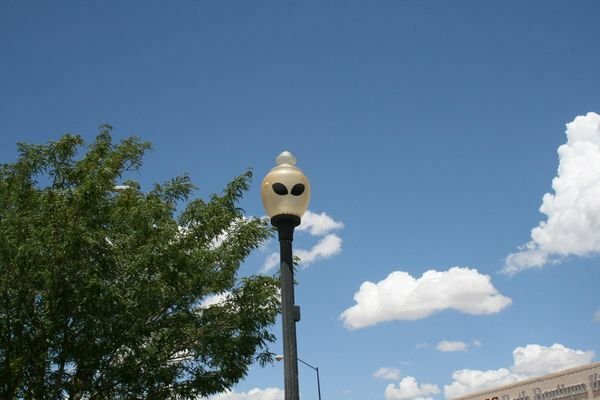 So, as it turns out, Roswell has a little something for everyone. 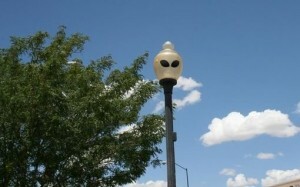 Plus those cute alien street lights! 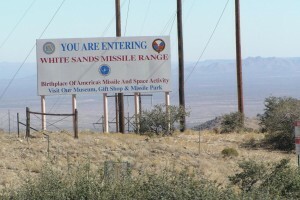 But if debris left behind from alien spacecraft and/or government nuclear testing isn’t your thing, keep heading west. Just north of Tularosa is the Three Rivers Petrolgyph Site where there are the remains of something a lot more interesting. 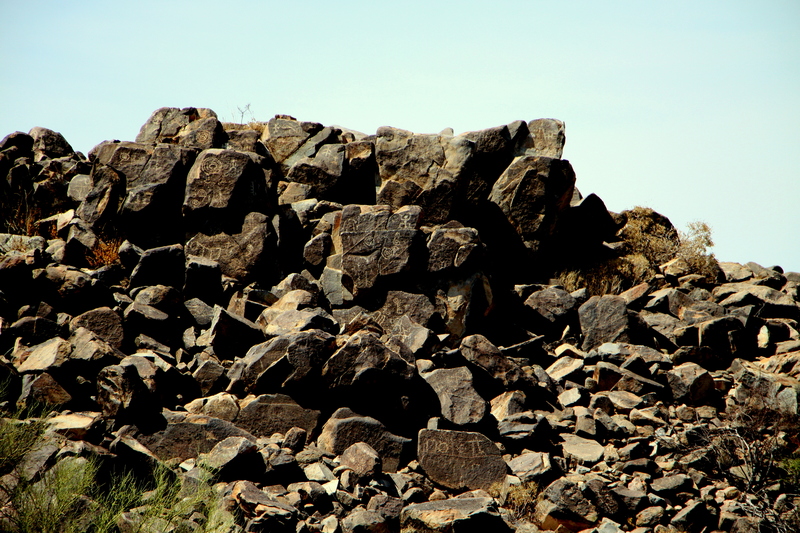 Here a basalt ridge erupts out of the Tularosa basin near the edge of the Sacramento mountains. 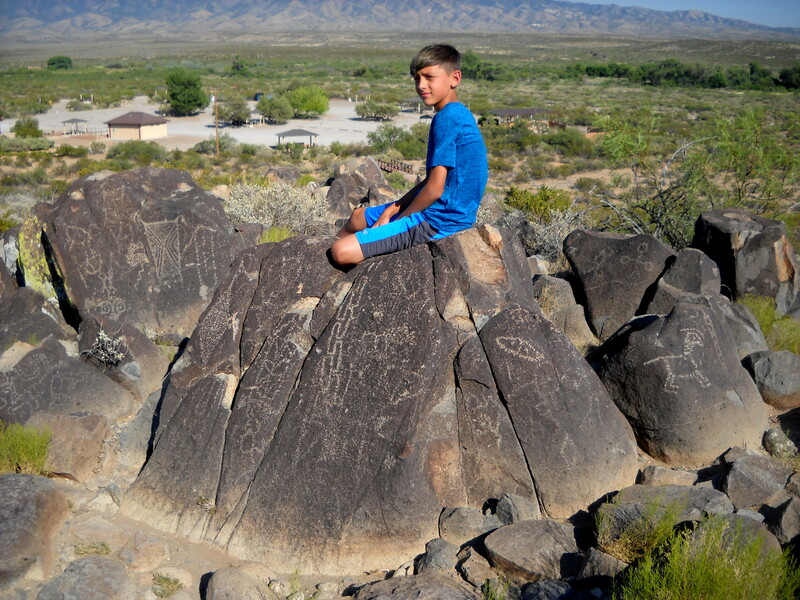 Follow that ridge uphill and along the way you’ll discover over 20,000 petroglyphs left behind by the Jornada Mogollon. 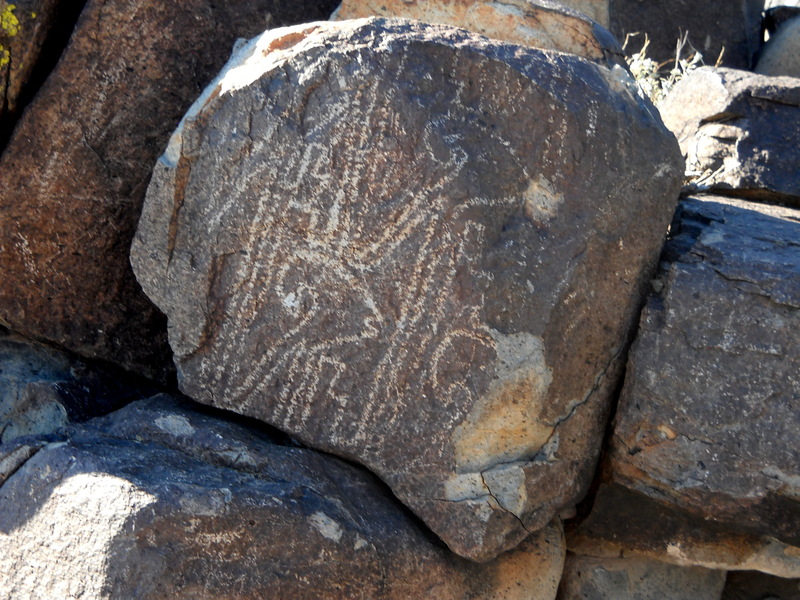 These native people lived in the region between 900 and 1400 AD, carving away the desert varnish on the rocks to leave a variety of images of animals, humans, and symbols. Archaeologists can only guess at the reasons that the Jornada Mogollon abandoned their settlements in the area. Perhaps climate change, such as unpredictable rainfall, forced them to abandon agriculture and return to a nomadic lifestyle. 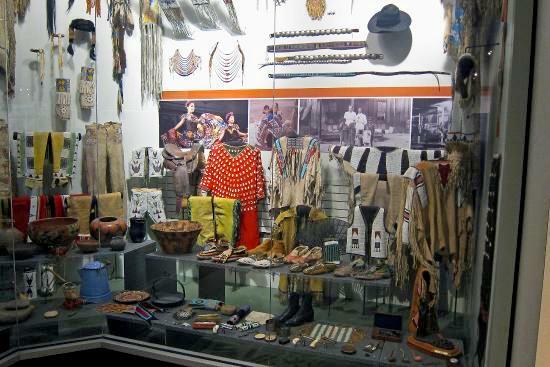 Perhaps their population became too small or too large and they joined up with native cultures to the north or south. Regardless, by the end of the 15th century, nothing remained except the foundations of several village buildings and the amazing array of petroglyphs. 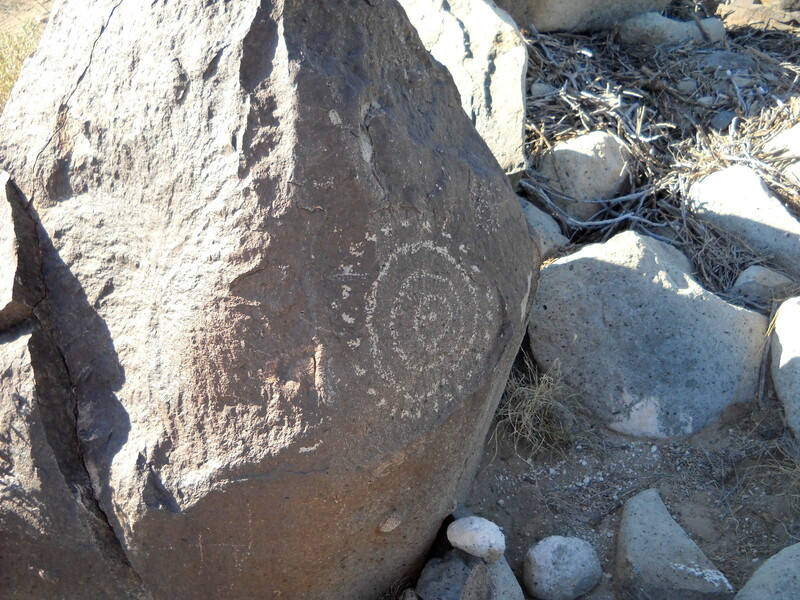 Lasting evidence of a culture that faded into time. 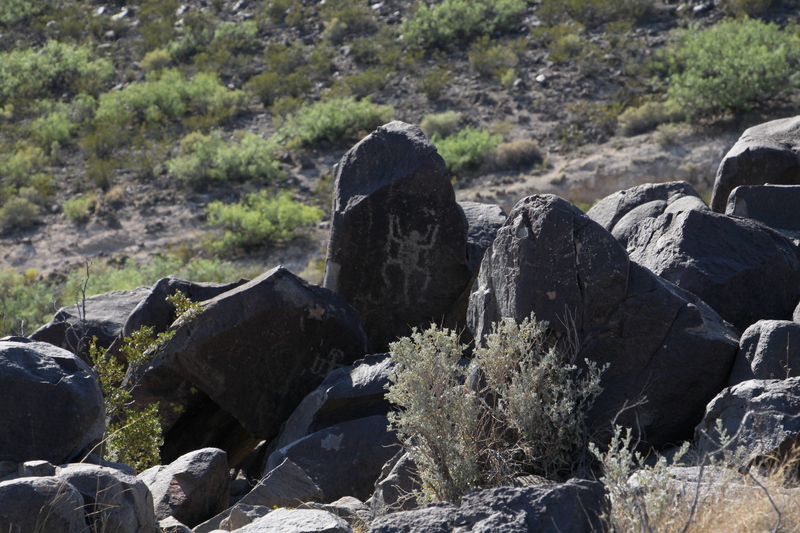 And what do those petroglyphs tell us? Are they messages? Or just a recording of their daily lives? Maybe even art for it’s own sake—an art gallery nestled between the mountains and the desert for the people to enjoy. 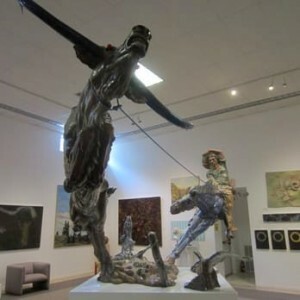 No different than us wandering around the Roswell Art and Museum Center. Except the Jornada Mogollons picked a scenic background that beats out any other museum atmosphere. 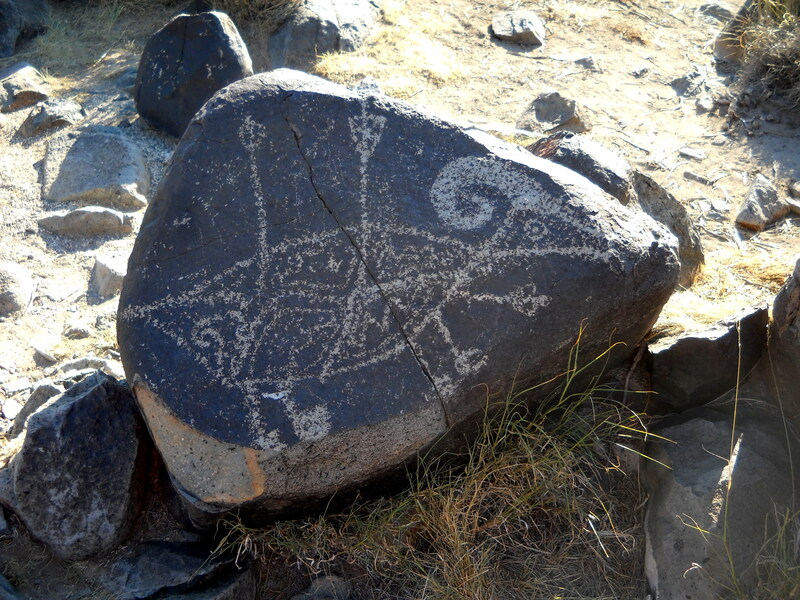 You can climb that rocky hill, sit among those ancient pictures, and see the world in which the artists lived so many years ago. You can almost reach through time and touch their hands. After leaving Three Rivers we passed through the pistachio groves of Alamogordo. 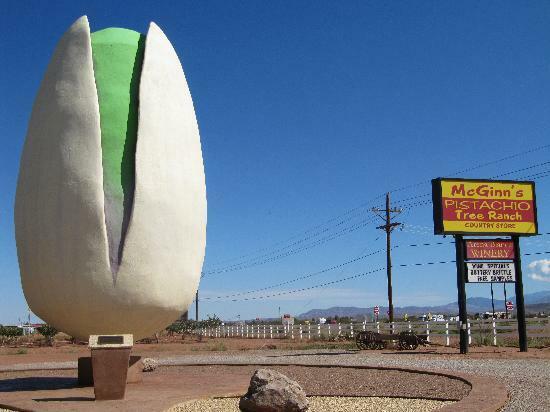 The majority of the pistachio crop in the United States comes from California, but this section of New Mexico has 6 or 7 farms adding to the bounty and most of them run along the stretch of highway between Tularosa and Las Cruces. 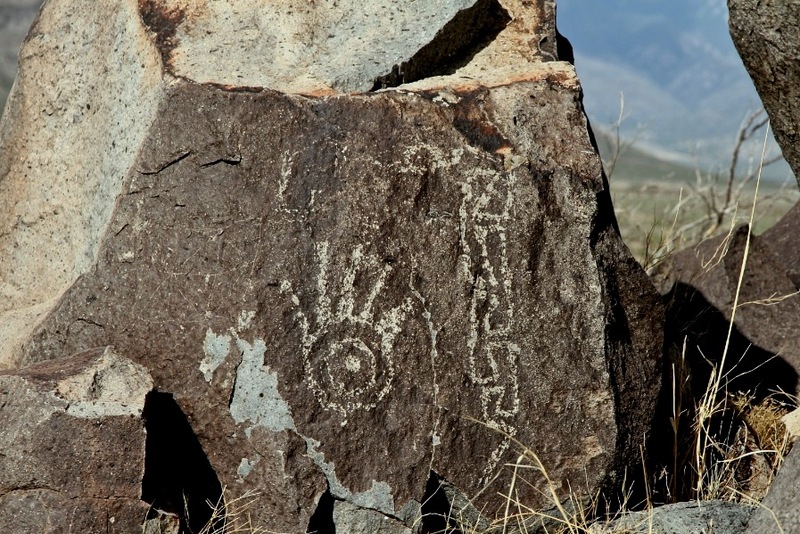 Humankind, of course, has left a mark to recognize the feat of growing nuts in the desert. 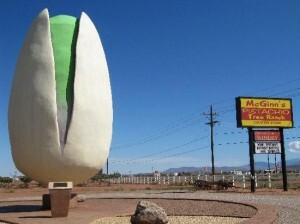 With the world’s largest pistachio outside McGinn’s Pistachio Tree Ranch. The store was closed for the day, but we saw the giant pistachio. Couldn’t miss it if we tried. We crashed for the night and were up the next day for a glimpse of something that had been millions, yes, millions of years in the making. 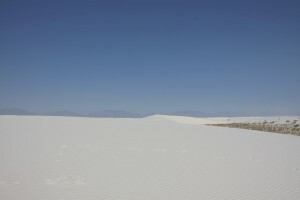 The sparkling dunes of White Sands National Monument. 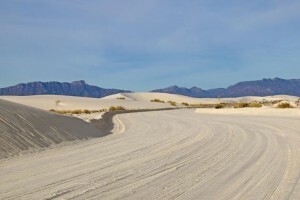 All this sand started when the land of New Mexico was covered by a shallow sea over 250 million years ago. 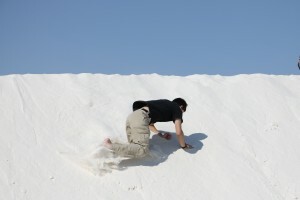 But the sea slowly evaporated, leaving behind thick layers of gypsum, a soft sulfate mineral. 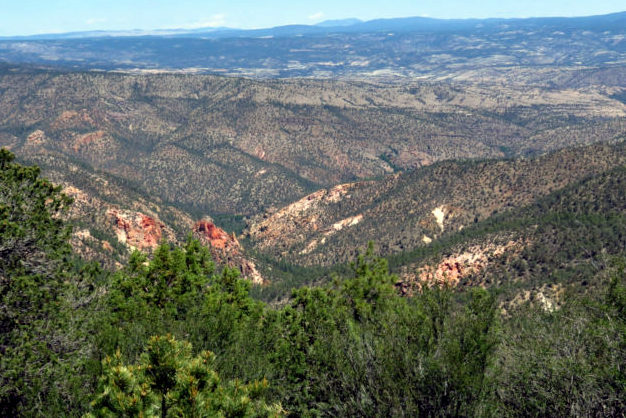 Then, around 70 million years ago, the Rocky Mountains began to form and the layers of gypsum rose as part of the the San Andres and Sacramento mountains and were exposed to erosion. 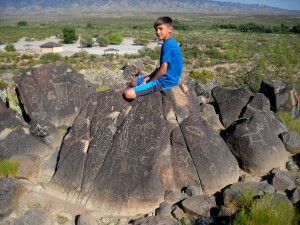 Gypsum is easily dissolved and carried away by water but 30 million years ago more plate tectonic activity in this area resulted in the formation of the Tularosa Basin. 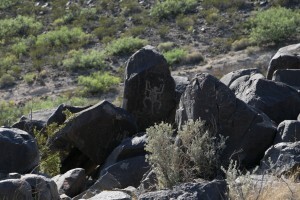 Precipitation increased, the gypsum washed off the mountaintops, and gathered into an expansive lake in the basin. 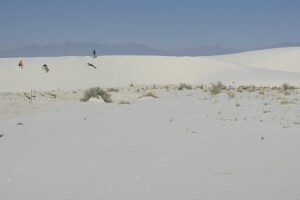 The southwest’s relationship with rain is fickle, though, and the lake again dried up, leaving the gypsum behind. 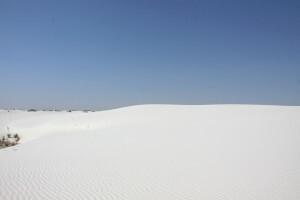 6,500 to 7,000 years ago the endless cycle of freezing, drying, and blowing winds resulted in the gypsum crystals being broken down into tiny grains of sand. And finally the dunes were formed. 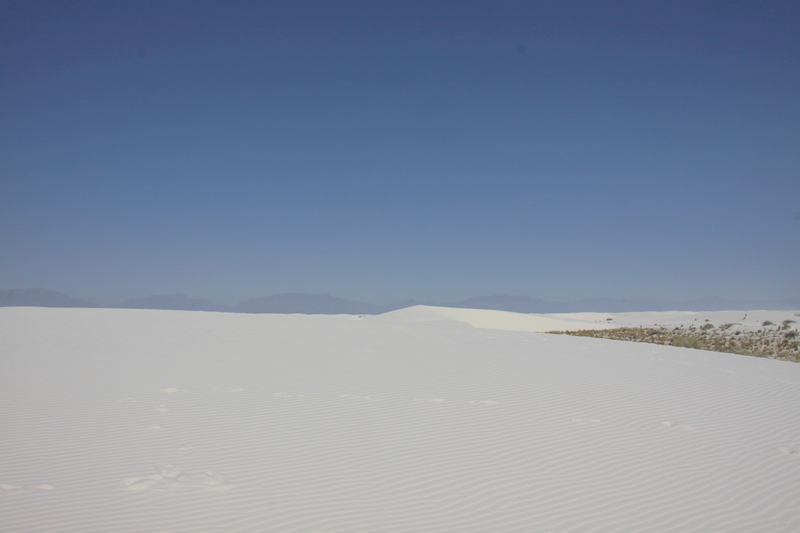 A vast sea turned into an endless beach without a drop of water in sight. 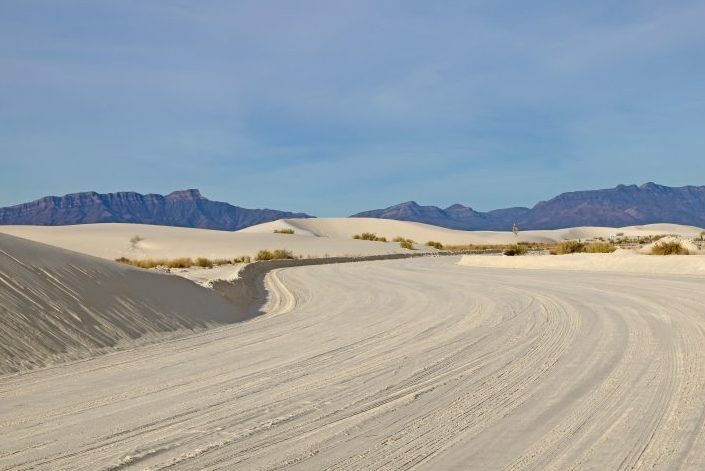 Whites Sands is a living monument to history and the earth’s powerful geological forces. When you are walking the dunes you are really surfing the waves of an ancient sea. But the kids weren’t so interested in the dunes’ history. 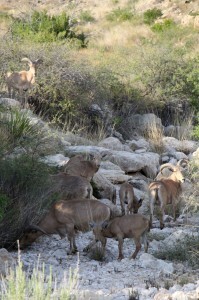 They were mainly interested in climbing…. 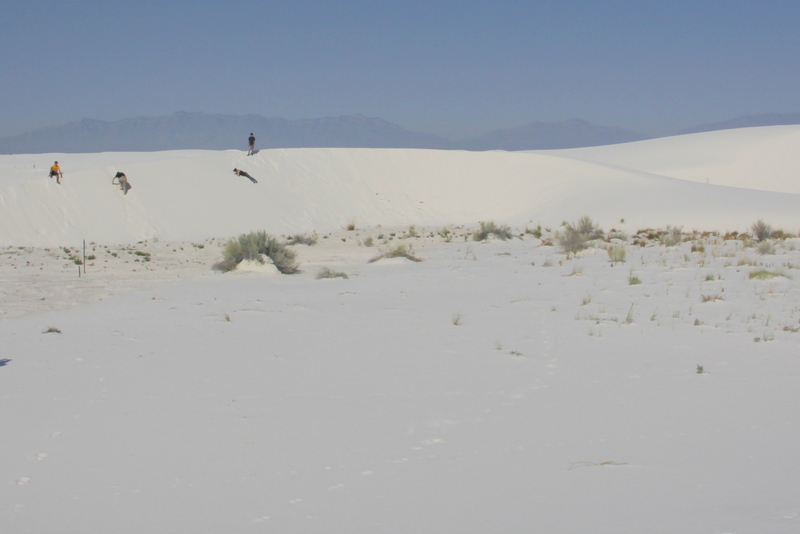 Because gypsum sand doesn’t absorb heat like sand derived from disintegrated rock. 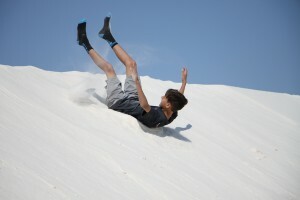 So even on the sunniest day, the kids can play safely on its surface and digging just an inch down reveals grains that are refreshingly cool to the touch. 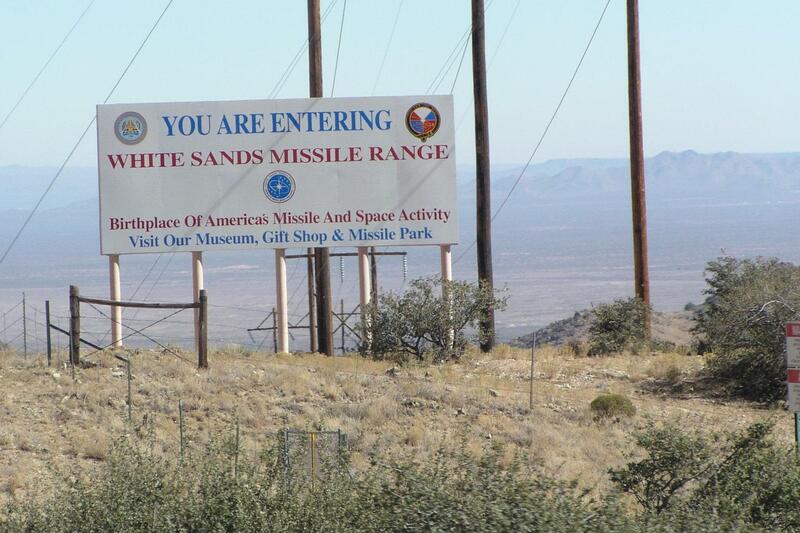 Well, they can play safely as long as the park isn’t closed for missile testing at the nearby White Sands Missile Range. Which apparently closes large sections of the park when they are conducting “research.” I warned you about the Department of Energy. Although I think the addition of a gift shop takes the edge off a bit, don’t you? What kind of bad can happen when they’re selling souvenir postcards, right? Right?? Leaving White Sands, we continued west, tracking down another group of Mogollon people, the Mimbres. 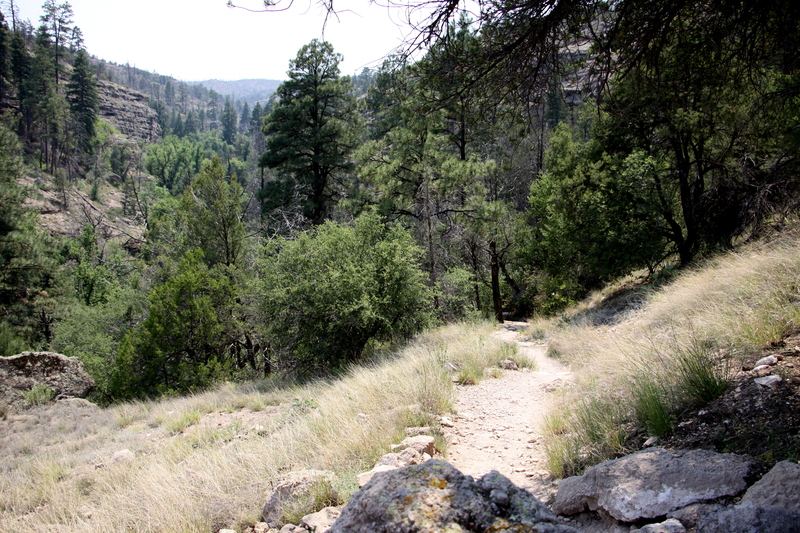 We entered the Gila National Forest which encompasses the Gila Wilderness, the first dedicated wilderness area established in 1924. 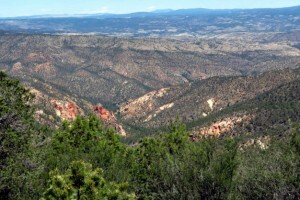 The wilderness area does not allow any vehicles and there no roads in the 550,000 acres. 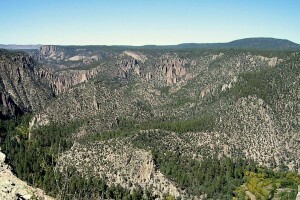 In sharp contrast to the surrounding desert, the Gila National Forest and wilderness area has ponderosa pines, pinon and juniper woodlands, high mesas, rolling hills, and sheer cliffs along the Gila River. 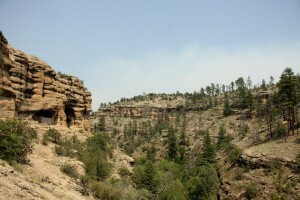 It has unbelievable scenery…. and terrifying narrows roads with hairpin curves overlooking sharp precipices. 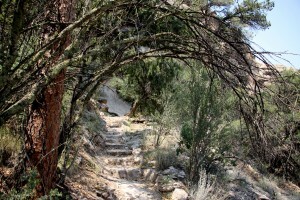 And no guard rails. We saw our first javelina as we traversed the winding roads. I didn’t get a picture because my hands were clenched on the steering wheel. 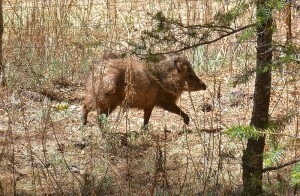 But this is basically what we saw: a bristly pig cutting through the woods. It was more exciting than it sounds. 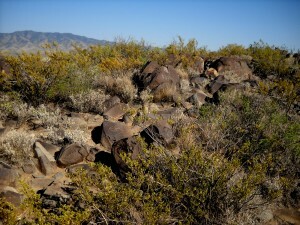 Here is where the 10 -15 Mimbres Mogollon families (40-60 people) lived between 1270-1300 AD. They hunted and foraged in the area as well as growing crops on the mesa tops and along the river valley. 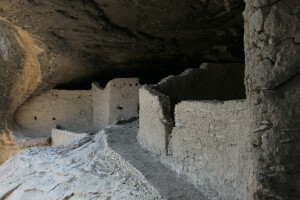 They built the walls using local stone and wooden beams, whose tree rings were used to help date the structures. A lot of the original mortar and plaster still remains today. 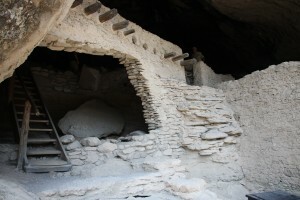 There is a ranger in the caves to keep tourists from damaging the site. But you can still wander among the rooms, climb the ladders, and peer into storage areas. When you enter one of the communal rooms you can still smell the soot from their fires. 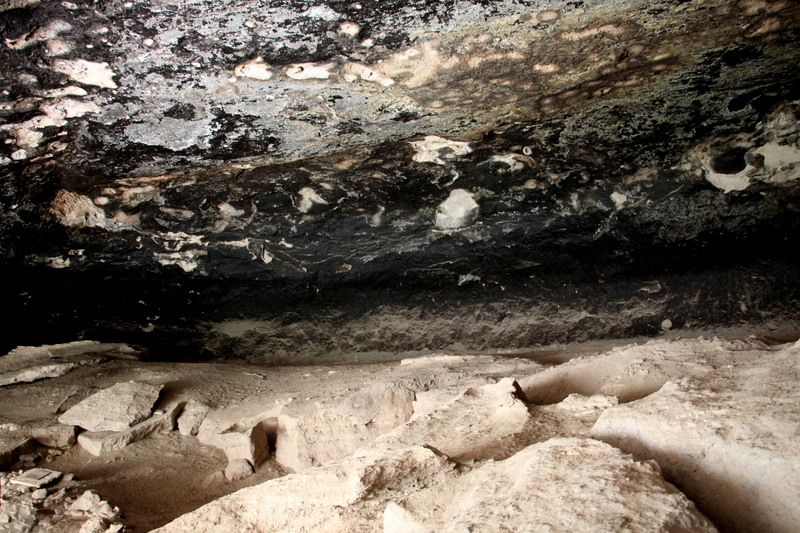 People, you can still smell the soot from the fires of a people that lived over 700 years ago. Let that sink in for a minute. God bless the National Park Service and the many people dedicated to protecting our environment and preserving our past for present and future generations to see. And touch. 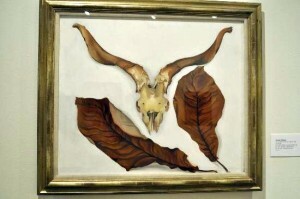 And even smell. God bless ’em. Because I didn’t know any better. I was baffled when the lanes narrowed and I was forced to approach the guard station. Then I was confused. We weren’t crossing the border. I mean, I knew the border to Mexico was somewhere around there but we weren’t crossing it, right? Wait, right? I wanted to look at a map but we were getting closer and closer to the border patrol agent. Did I need to get out my license? My registration? Did I have to tell them where we were going? Wait, where were we going? I needed to check my travel book. Did it look sketchy to check my travel book? Who doesn’t know where they’re going??? “Are we still in America?” asked one of the kids. “Yes,” I answered. I was pretty sure. Kind of. We were still in America, right? I started to panic. I tried to calm down. Because panicking looked sketchy. She indicated the 44oz soft drinks we had picked up at the Circle K in Silver City. You know, 69¢ for any size of sweet ice cold diabetes goodness. We had 6 of them tucked into cup holders around the car. Only real Americans would need 44oz of soda per person. In a non-biodegradable foam cup. 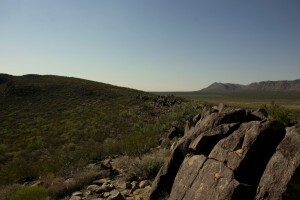 After leaving the pristine wilderness. Before I could even roll my window down, the border patrol agent peered into our car. Then he immediately waved us on. No questions asked. 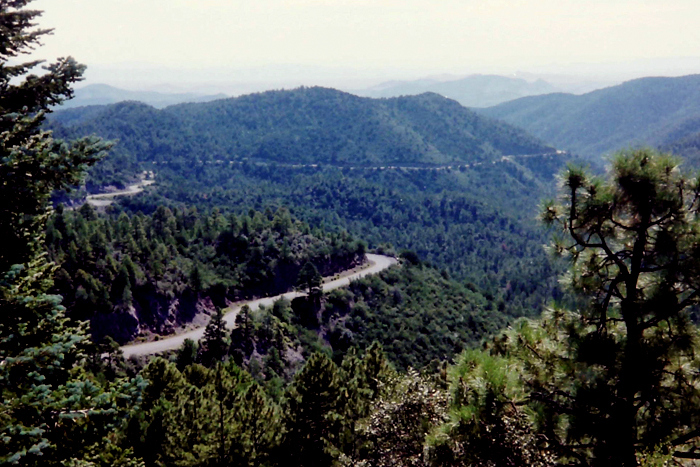 With that, we left New Mexico behind us. We would be back to see more in New Mexico on the return trip home but, for now, it was on to Arizona. 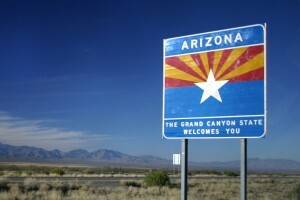 And back to the desert. No guard rails necessary.